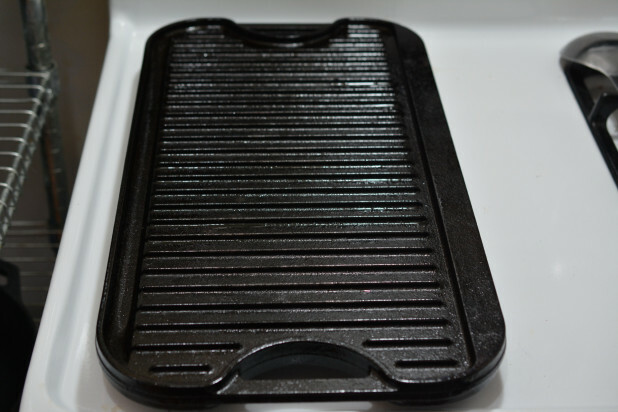 So if you read the blog often you’ve probably figured out that I have just about every kitchen gadget known to man. 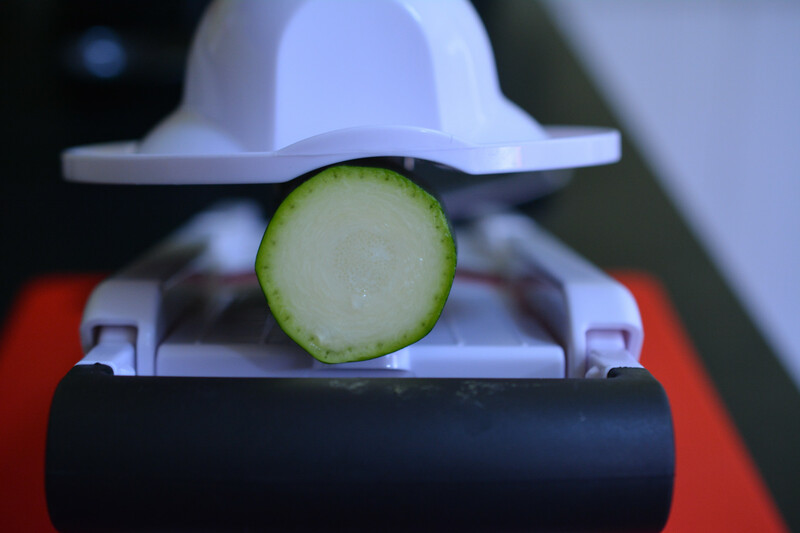 However, I never had a mandoline slicer, until now! 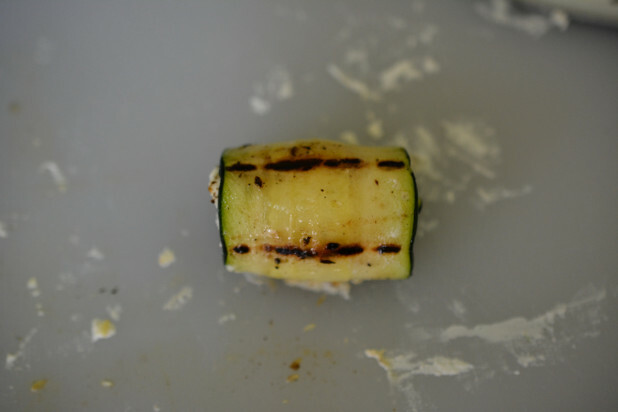 To break it in I wanted to try a bunch of different Zucchini recipes. 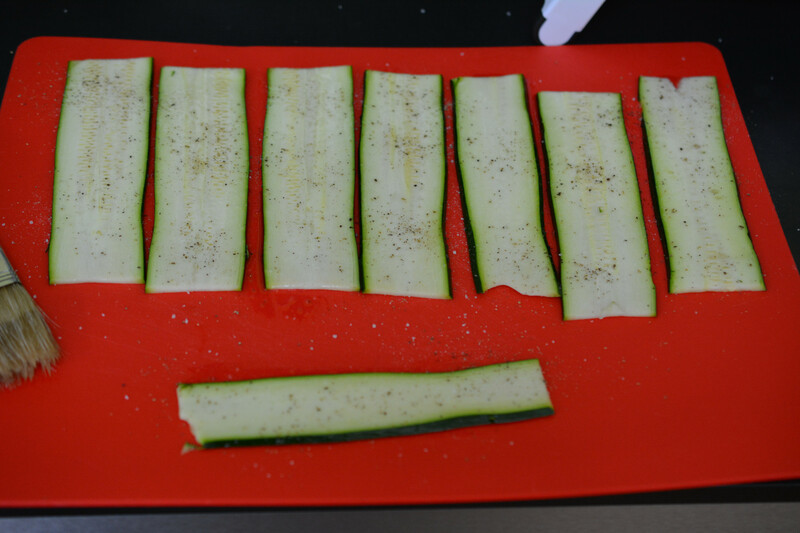 The first idea I had was to make thin slices of Zucchini and form them into wraps. 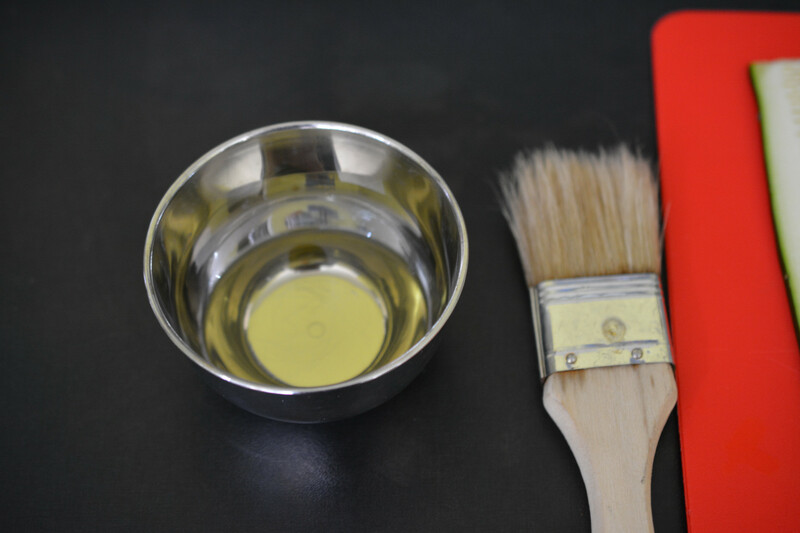 The result was awesome! Here’s the finished result! They came out like little sushi rolls. Start by washing a large Zucchini and slicing off the ends. Then align it as shown on your mandoline slicer. I ended up throwing the first and last slice away because they weren’t as uniform and had a lot of skin on them. 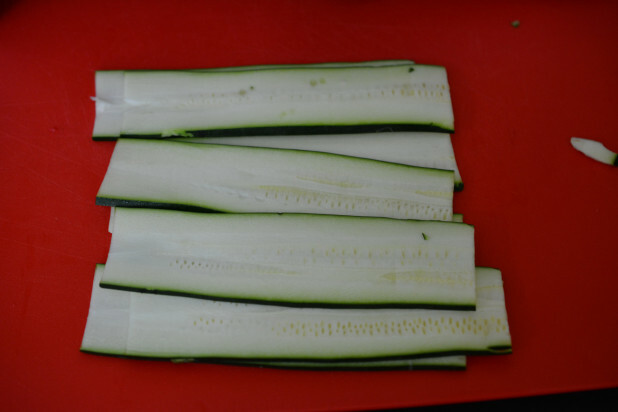 After the slicing you should end up with a series of uniform, 1/8″ Zucchini slices as shown. For this recipe, I really wanted to get the grill lines so I used my cast iron griddle set to high heat. 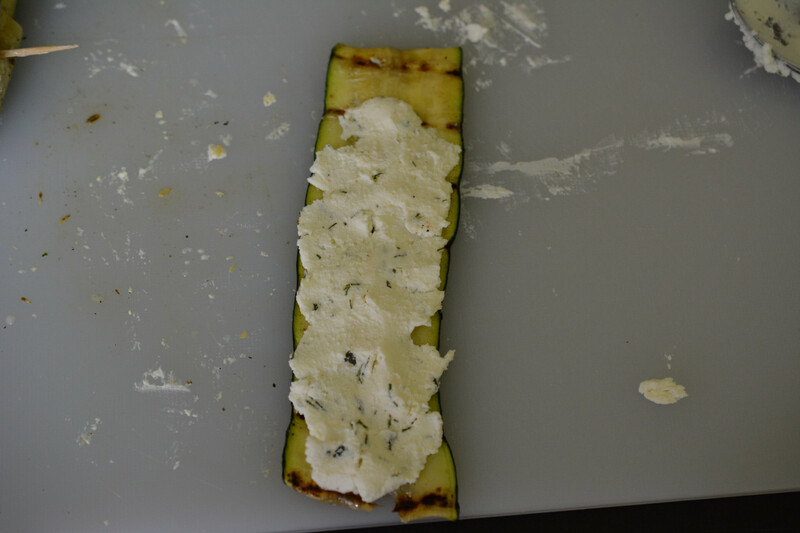 To prep the Zucchini slices, I used a small container with olive oil and a brush. 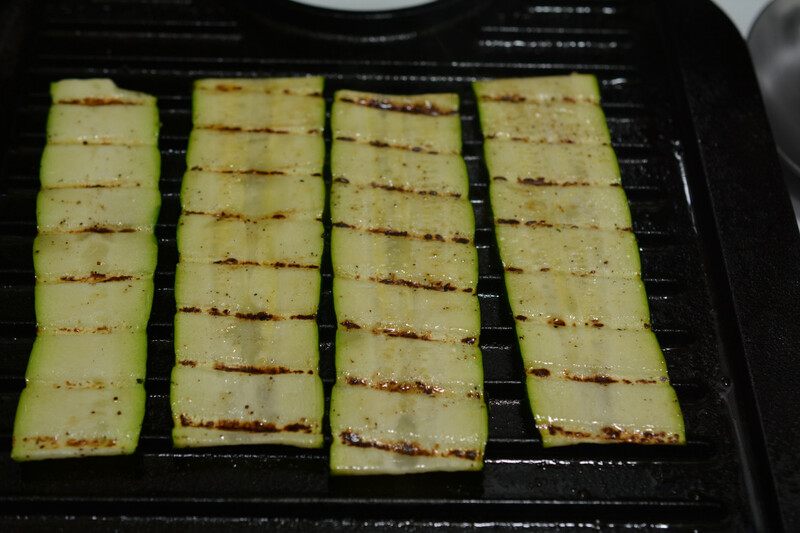 I then brushed both sides of the Zucchini with oil and coated them lightly with salt and pepper. Mmmm, grilling Zucchini! While the Zucchini was cooking, I prepped the filling. 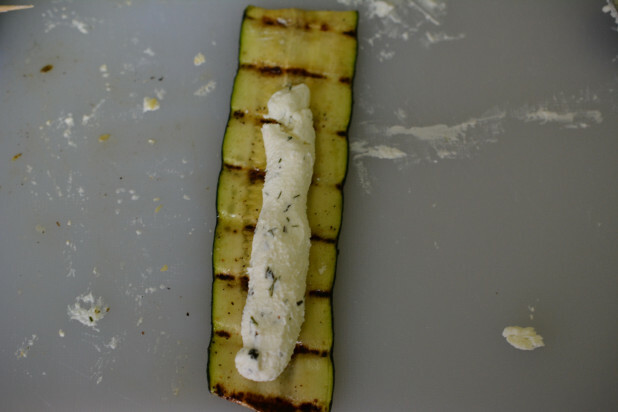 I used a combination of goat cheese, dill and mint. 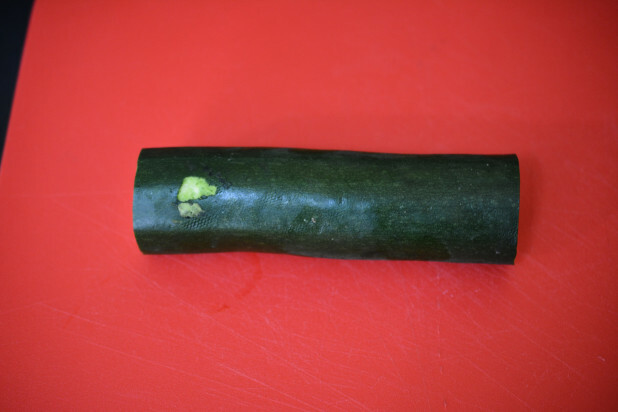 After the roll is spread out, I just pushed it down and spread it as shown above. Then I simply rolled each one up! After rolling I hit it with a toothpick to keep it all together. 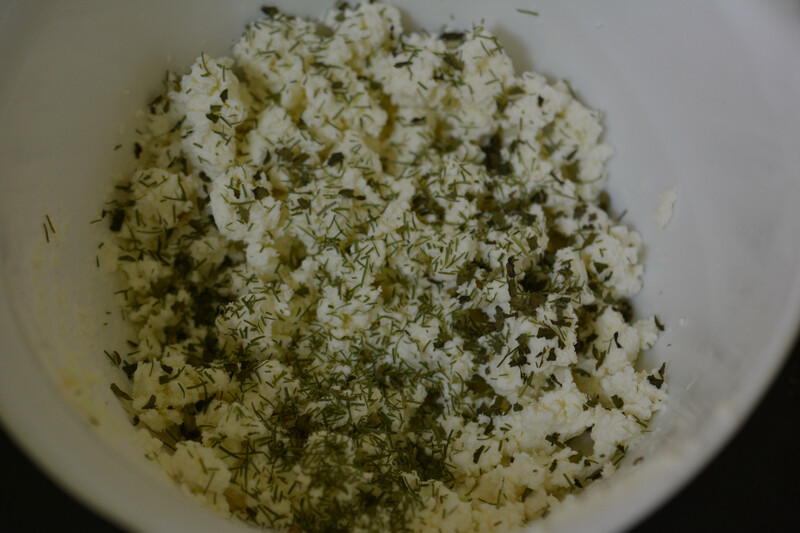 Combine the goat cheese, dill and mint. Yum! 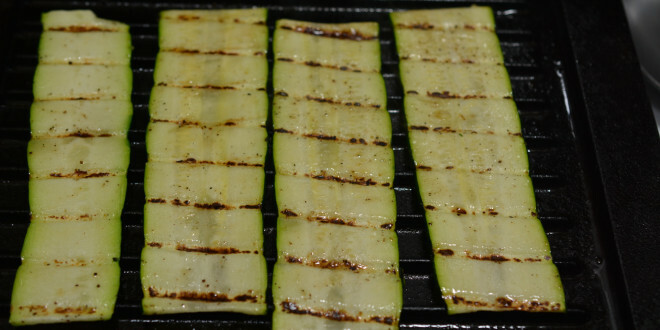 I bet you could make tasty lasagna-esque type wraps out of the zucchini too. 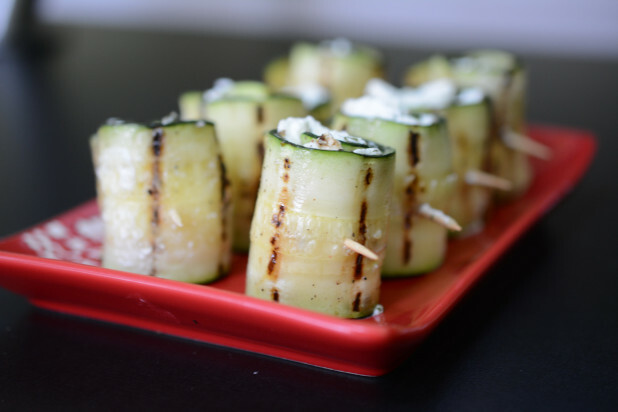 Thanks for the inspiration, these look fantastic! I used a pan with a little olive oil and it turned out excellent. I used an herbed goat cheese and it required no other seasoning. 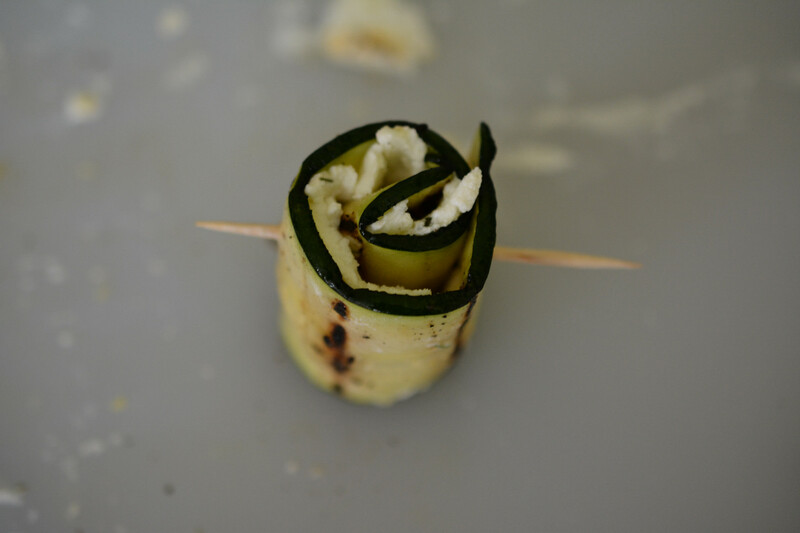 I also made salmon rolls with smoked salmon as an addition to the zucchini rolls!